Using data from the Lunar Reconnaissance Orbiter, NASA has created the highest-resolution, most accurate map of the surface of the moon ever. Great. Now let's pick a spot to park our spaceships and let's get back there pronto. 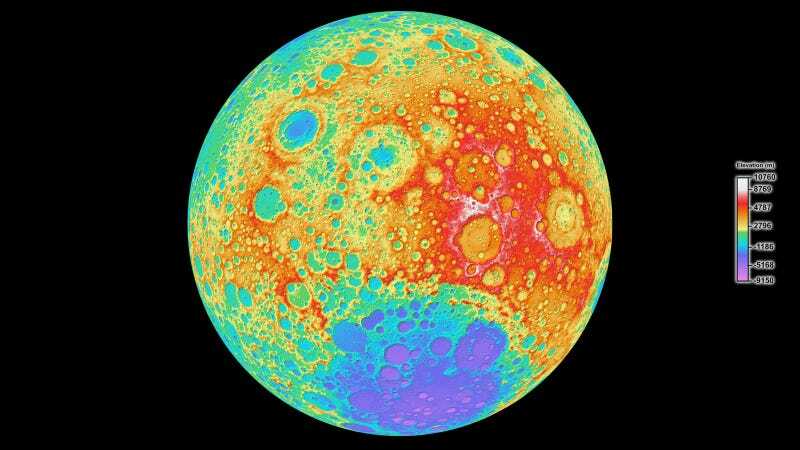 According to NASA, the topographic map created by a team at Arizona State University in Tempe, "shows the surface shape and features over nearly the entire moon with a pixel scale close to 100 meters (328 feet)."